Watching the Royal Challengers Bangalore beat Delhi Daredevils in the India Premier League – at Rail Station & Ale House. If you have to be gone on a speaking trip, this helps. 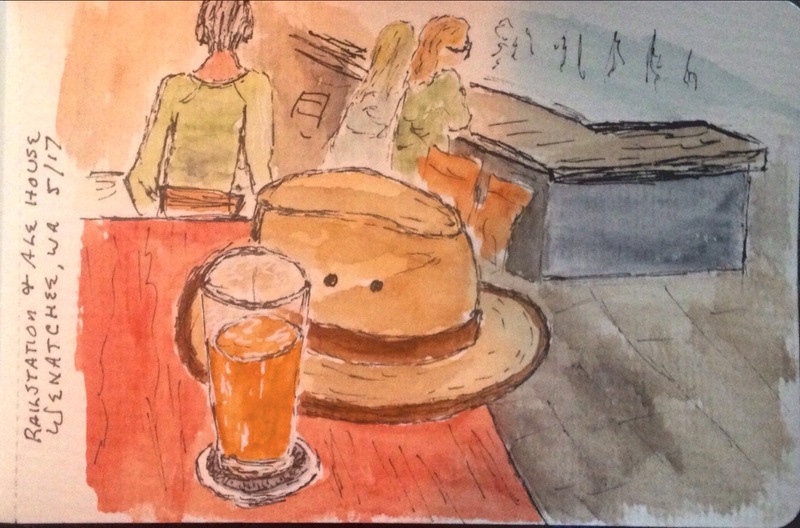 This entry was posted in ink, pen, sketch, Travel, Watercolor. Bookmark the permalink.